Marlborough 147ao from 36 overs, Tonbridge 151-4 off 24.5 overs. 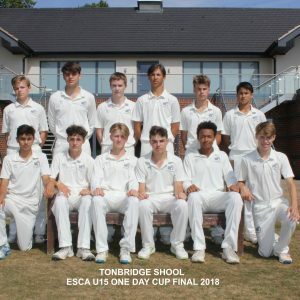 Tonbridge are through to the Final. Tonbridge 209-9 off 40 overs, Eton 140ao off 33.5 overs. Tonbridge 170-3 off 35 overs, St Paul’s 136-8 off 35 overs. A really competitive game on a tough wicket which made it very interesting as the boys had to adapt and play smart. 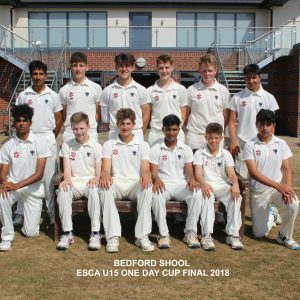 Eton bowled and fielded much better than we did and deserved the victory, particular mention to Varma who took the game from us at the death by scoring 31 off 16 balls. New Hall 143ao off 40 overs, Tonbridge 144-5 off 33 overs. Ipswich School win by 22 runs.